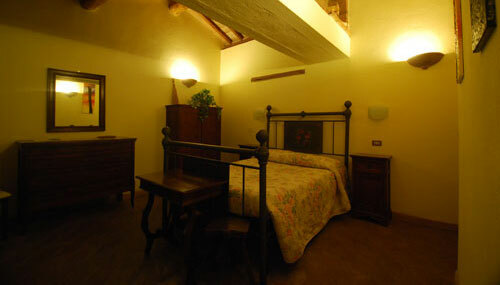 The rooms are housed in old buildings with essential rustic furniture. The interiors are striking with simplistic charm from the terracotta floors made of clay of which this region is rich with. The floors and chestnut beams are made unique by marks, grooves and colors that the time has created with its magic hands - such beautiful details that it is almost a crime to cover them. From the rooms� windows you can admire fantastic views of flourishing vegetation and numerous animals that flock at the farm.